Ladies and gentlemen, here we are exactly one and a half month further from RTM, and the Store has not stopped surprising us. We’ve just witnessed the most explosive week since RTM in the Store. 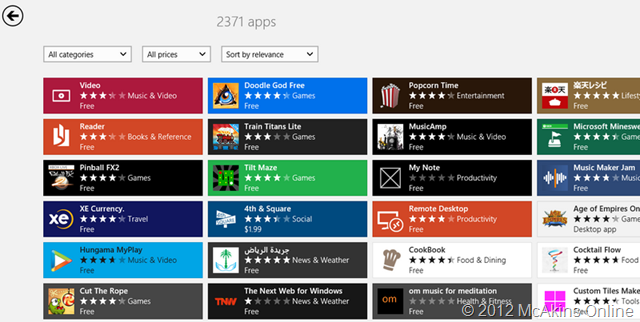 Microsoft released a total of 737 apps this week. Yes, just in one week, the Store grew by 737 apps! How come I hear you say? Simple, the explosion is due to opening up of the Store to the general public, we are now seeing the effect of this in the Store. What we’ve been seeing all along were the special-access developer apps, and now that all and sundry may publish in the Store, the result of it is now visible. The new developers needed a few weeks to get the traction on their new apps, now we have the result of their labor. To prove this point, notice the number of localized apps this week, there are lots of apps this week in foreign languages. As a result of this change it will be impossible to mention all top apps that have arrived in the store, so it will suffice to just mention a few top ones and some rather curious apps that have just arrived. As you can see from the table above, the Games category exploded this week with 124 apps, followed closely on its heels by the Entertainment category with 122 apps. 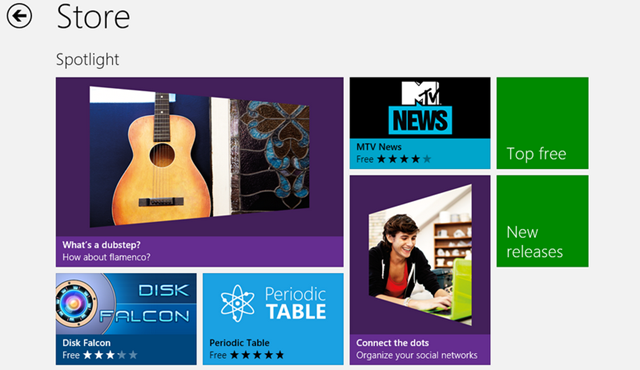 Again Tools category is showing a strong presence in the Store as the third. The Education category increase is again this week mostly due to WagMOB with 22 Apps. Lots of Language teaching apps appeared also this week. 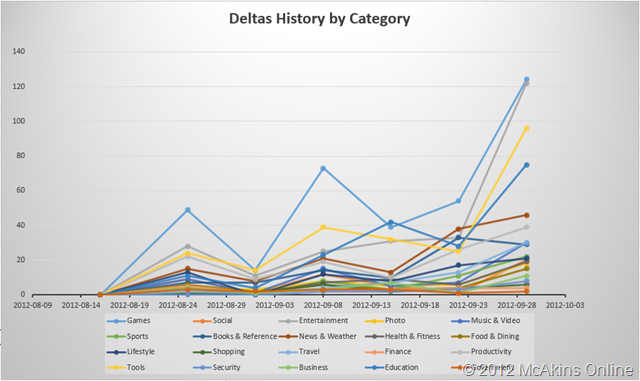 Notable in this category is the DePaul College of Computing and Digital Media App. 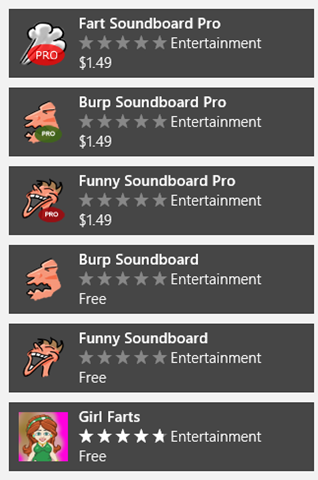 I have mentioned unusual number of Localized apps this week, also notable is the number of Desktop Apps published by Microsoft in the Store. 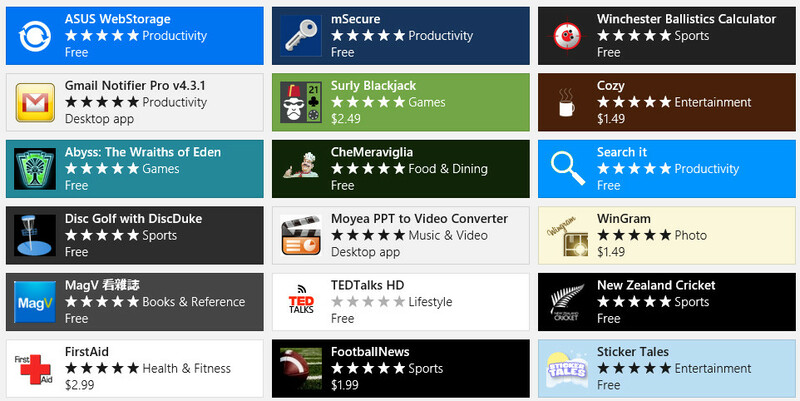 Amongst these desktop apps is McAfee’s Internet Security Suite that joined Norton 360 Suite mentioned last week. Beginning of this week, the makers of Doodle God released an app dedicated for Samsung OEM devices. This I think is the beginning of OEM hubs in the Store. We’ll keep an eye on this development. There is paid and free version of this app for users of Samsung I guess. Another remarkable app is the Female Pill app, I twitted this early in the week that developers are mostly represented by Men, and naturally we men don’t think in the direction of apps like this. This is a welcomed development to see Ladies develop apps that caters specifically to the needs of ladies in the Store. Keep it coming ladies. The Next Web also released their official app into the Store, but it isn’t receiving high ratings unfortunately. There is also EMU7800 Atari Emulator app now in the Store for our nostalgia. And if you are into Lolz on Cheezburger, they’ve got an official app for you in the Store. Also, if you are into webcam, New Zealand and Sydney have got Traffic Cams for you. Since we are talking of traffic apps, you can as well download this beautiful London Tube App too if you live in UK. And to make the case worse, someone decided to add a BSoD prankster app into the Store. I guess we are all missing Blue Screen of Death now that it deserves an App to remind us of BSOD era in Windows past. 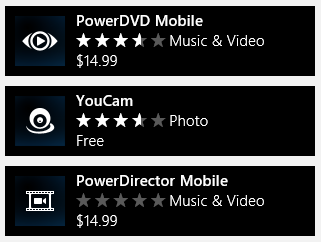 I don’t think Windows Store is exceptionally poor as Paul makes it to be, just take a look in Apple and Android Stores and see how many garbage apps are there. Hopefully, you’ll find something you like in them. My personal favorite for this week is the “Short Web” App. This app allows you shorten your URLs with Google, Bitly etc via the Share Charm. A welcomed addition to my Toolbox, since all Twitter clients in the Store at the moment don’t support url shortening. I am sure you’ll find it a useful app too. Wrapping up, the Store saw an explosion of apps this week, the question is can it sustain this surge? I am projecting the 3K milestone crossover end of this week or almost. That will be an impressive achievement for Microsoft given the Pre-GA state of the OS. That’s the proof that Developers are warming up to Metro. With the release of the PowerDirector App, you can also see that serious app can also work in the Metro environment. We will keep our fingers crossed. 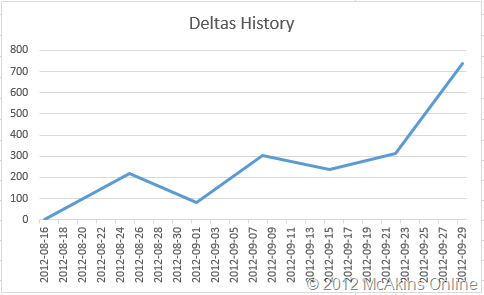 As you can see, I have added the metrics for the Category Deltas History with which you can follow Category progress. And forthwith I will be adding a link here below for the archive of this post in case you need it for reference. Given the number of Apps in the Store now, it is humanly impossible to analyze every app, I am sure I am missing some apps that some of you may think is worthy of mention. If you come across a great app in the Store, please inform me via my Twitter account @McAkins. Thanks already. I am aware of other blogs reporting more Apps than I am reporting here, but note that they are using Store Developer Access to report Apps that are in the Store, including Apps that are not yet visible to the general public. 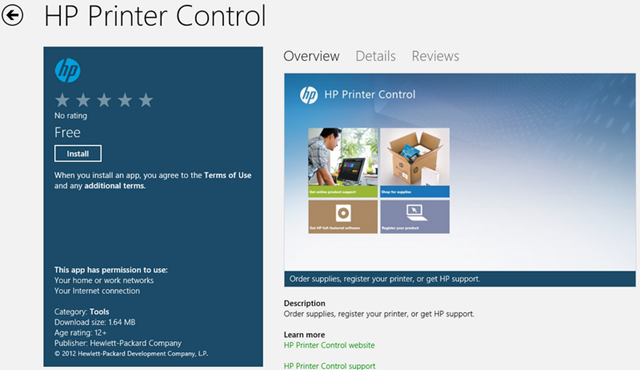 I am reporting as you will see when you launch the Store App in Windows 8. I just thought to clarify this. Thanks for your attention and have a great week ahead. See you at the tail of next week. Please allow me to keep this here for a while for Microsoft to fix the Highest Rating bug in the Store! The picture above shows highest rating report in the Store. According to Microsoft, ASUS WebStorage is the highest rated app in the Store, but when you check its rating, it only has one rating at 5-Stars. Same for the next app and the next. This is obviously an Error MS! How can a developer rating his own app with five-star on his own be highest rated than the likes of MetroTwit App or FreshPaint that was rated by hundreds of people at 4.7 Stars, (or the real highest rated app in the store right now: Fruit Ninja)? Please fix this listing error.